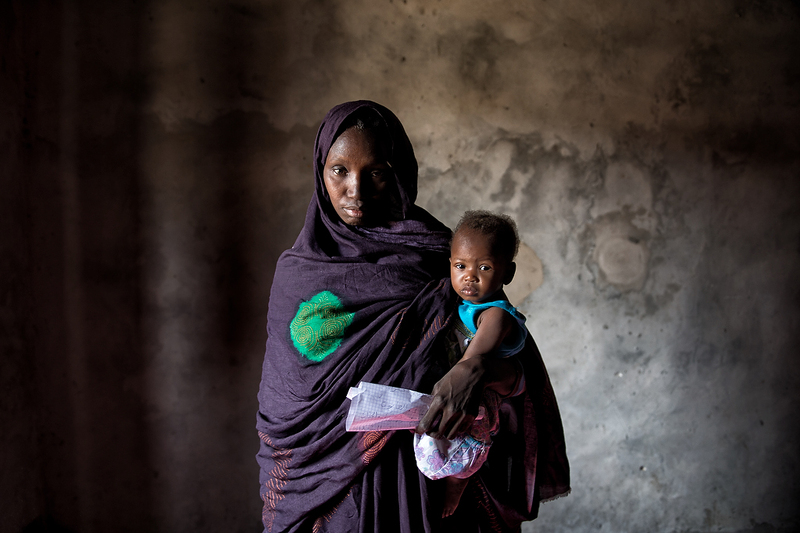 Bredane holds her nine months old child Dieda Mint Mustafa in her lap during the Nutritional screening and awareness raising session in Guerrou, Mauritania. This is the first time that Bredane attended Nutrition session. As the Midd Upper Arm Circumference indicated Dieda\'s malnourishment, she has been referred to the CRENAM clinic for further treatment.